This tape is designed to protect your skin from the physical stress of repeatedly throwing a bowling ball. It prevents skin irritation, reduces tears and blistering, as well as helping provide a consistent feel and release. By One ball Paul from Port Charlotte, Fl. I use on thumb and fingers to protect from wear and tear and to give me additional gripping power. Stays in place, textured to enhance control, like the colors. Sometimes need to trim back corners for more of a custom fit. Is this product 1 inch or 3/4 of an inch? Thanks. Hello! 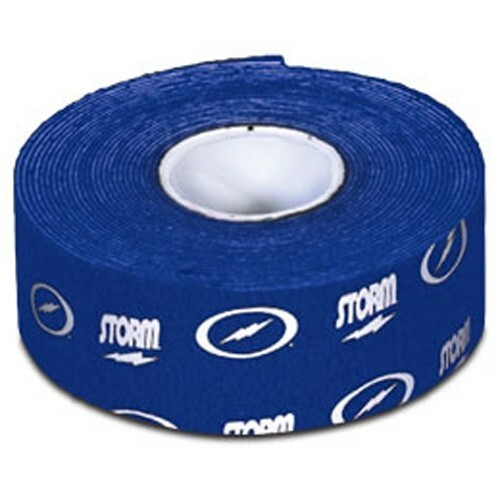 The Storm Thunder Blue Tape will be 1 inch. Due to the time it takes to produce the Storm Thunder Blue Tape Dozen ball it will ship in immediately. We cannot ship this ball outside the United States.